We help clients navigate through the challenging topics and initiatives that shape today’s corporate board agendas. We help board members make informed business judgments on executive pay and governance matters. We listen, collaborate and prepare. We communicate a clear and independent position specific to each situation. 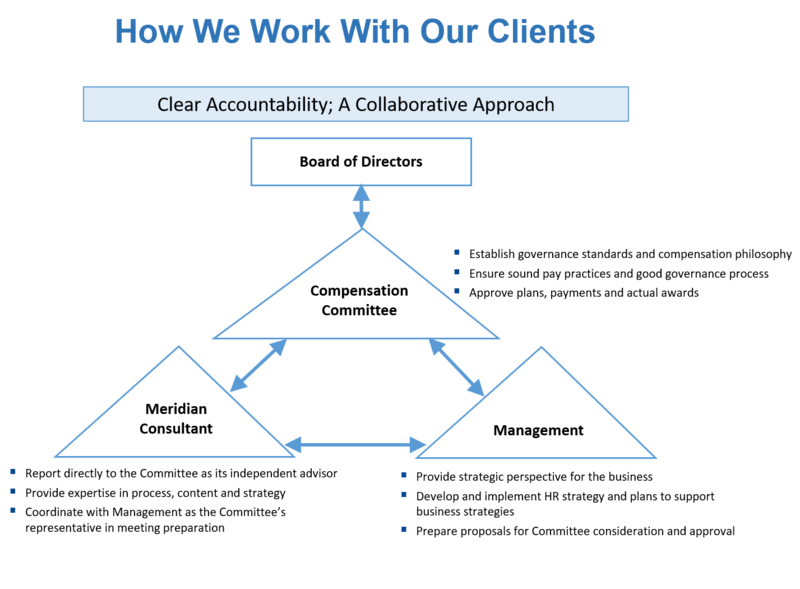 We gauge our success based on the value delivered and the longevity of our advisory relationships. Many of our committee relationships are well in excess of 15 years.